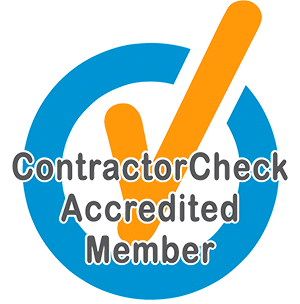 cracking Archives - Epic Paving & Contracting Ltd.
Every homeowner should know the basics about repairing their driveway. Most concrete slabs will have cracks over years of use. Outdoor concrete slabs are especially susceptible to deterioration. Erosion can lead to damage over time. Knowing how to maintain and fix problems save time and money. Here are a few tips about concrete repair that every homeowner should know. Before beginning concrete repair, be sure that the area is clean. Quickly sweep away any debris, leaves, rocks, and loose concrete. You can do this with a broom. Use a wet-vac to suction any water, mud, and liquid, especially if it has been raining or snowing recently. A leaf blower or pressure washer can also be used to clean out any cracks. Once the concrete cracks are clean of debris and liquid, then you need to use repair caulk. Fill in the crack with the repair caulk. Use the foam backer rod with a screwdriver for cracks that are wider than a couple of centimeters. Push the foam backer rod down a few centimeters before applying caulk. Do you want to return your driveway to its earlier days of glory? There are several options. 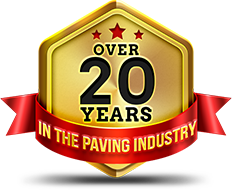 You can speak to a paving professional about how you can repair your driveway. Resurfacing is a very popular and relatively simple option. You can also use a product like concrete resurfacer to fill in the cracks and create a new smooth surface. You would need several tools like a mixer and mixing paddle to fill in the cracks. Be sure to smooth out any surface. Some contractors recommend going over the concrete with a broom to create texture. This can prevent slipping on a too-smooth surface. Your concrete driveway will look as good as new with resurfacing. Your concrete driveway requires regular maintenance to lengthen its life and provide the safety and smooth surface that you need. Keep the driveway clean. Fill up cracks at cold joints once immediately. Then apply the caulk. Proper maintenance and upkeep will allow you to enjoy your driveway for many years to come. This entry was posted in Concrete and tagged concrete, cracking, driveway, paving on September 18, 2018 by epicpaving. We’ve all seen it happen over time – alligator cracks popping up in your asphalt. It’s the most common type of asphalt damage, creating a distinctive spiderweb of cracks across your asphalt. It’s not just an aesthetic issue, however – it’s a very serious problem for your asphalt. If left unrepaired, it can cause permanent, long-lasting and expensive damage to your driveway, parking lot or other asphalt surface. When you see the beginning signs of alligator cracks on your asphalt, it’s time to call in the professionals at Epic Paving. With more than 20 years of experience, we’re the Greater Toronto Area’s top asphalt paving contractors – and we know just what to do to save your asphalt. Unlike other cracks, alligator cracks are a fatigue issue. It generally isn’t caused by harsh weather or by accidents – those will cause surface-level cracks that do only surface-level damage and are fairly easy to repair. No, alligator cracking is fatigue cracking, which likely means something is wrong with the underlying support of your asphalt. Your asphalt surface has to deal with a tremendous amount of weight and pressure; a problem in the underlying layers means that your asphalt simply cannot withstand the forces it has to deal with. That will cause cracks and underlying damage. The best way to avoid alligator cracking is to make sure your asphalt is installed properly to begin with. An experienced contractor, like the ones at Epic Paving, will make sure your sub-base is properly installed, and fit for the work it has to do – different uses require different preparations. An asphalt surface that needs to support a passenger car, like a driveway, is vastly different from one that needs to support the heavy industrial load of a parking lot. Weather is an issue as well, especially in Toronto, so you want to ensure your asphalt is properly weather-proofed and protected against the thaw-freeze cycle. A bit of extra preparation upfront can save you hassles later on. A short-term solution to alligator cracks is some crack filler or sealcoating, but these are just temporary measures. What you should do is, if possible, cordon off the area, prevent more traffic and more damage, and contacting your paving professionals. They will evaluate the source of the problem, determining the scope and extent of your issue. This includes an evaluation of the sub-base; how well was it originally installed? How has it held up under use? From there, the actual repair work would begin. Sometimes, it’s possible to simply remove the one damaged section of asphalt, replacing it with a properly installed sub-base and surface. If the damage is extensive enough, and the base not salvageable, they may need to replace the entire surface. While that may seem drastic, it’s better than having professionals repeatedly coming out to maintain a poorly-constructed surface! Epic Paving offers professional paving services throughout the Greater Toronto Area. Call us today for a quote and consultation, and we’ll help get your pavement looking good as new again. This entry was posted in asphalt and tagged asphalt, cracking, patching, repair on February 26, 2017 by epicpaving.